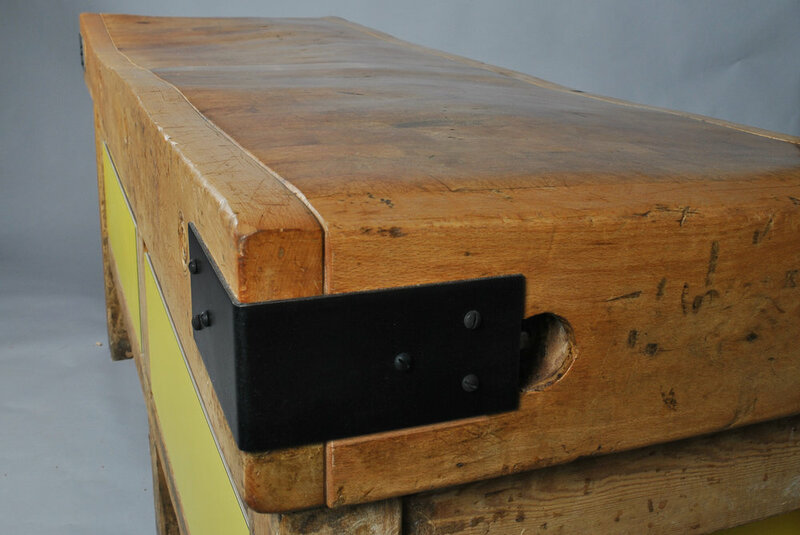 This vintage butcher's block was restored for a top London chef who worked on this very bench as a trainee. When his old cookery school closed down he bought the bench and commissioned us to restore it and add some storage. It now functions as a sideboard in his reception room. 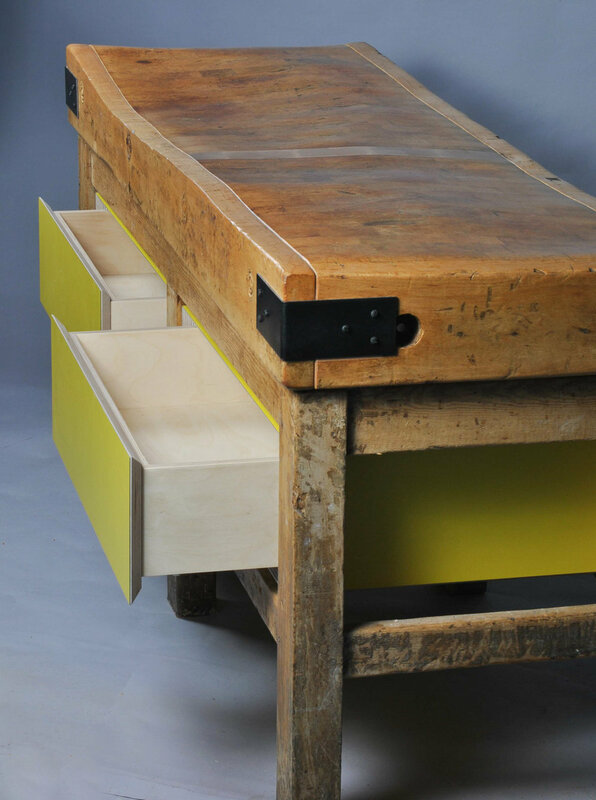 Sycamore and beech with floating drawer boxes in bright yellow laminate faced birch plywood.